A short video showing the care and love offered by the Grahamstown Hospice to people in need of end of life care. This short video speaks to the work of Grahamstown Hospice providing end of life care for those where a cure is no longer a reality and the twinning with Haven Hospice in the US. 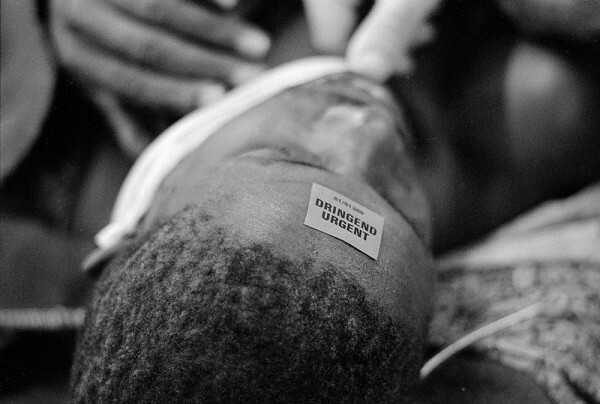 Scenes from a friday night at the trauma unit of the Chris Hani Baragwanath hospital in Soweto in 1993. The hospital is the only hospital in South Africa’s largest township and the biggest hospital in the world sprawling over 173 acres, 429 buildings and 10km of corridor. The hospital has about 3,000 beds to serve a population of about four million. I’m amongst the many thinking about something that happened this last week in South African journalism. On September 19, 2012 a digitally altered photograph was published on the front page of The Citizen, a national newspaper. Bodies seen in the debris of the blast in Kabul in the original wire photo by AFP, were removed in The Citizen’s reproduction of the photo. “Ntsika: The Pillar tells the story of the education crisis in black schools in South Africa today. It tracks a year in a typical black school – typical except for the fact that a new principal has just arrived – a white woman in her fifties who has resigned as principal from a successful well-resourced school in the suburbs. This short film outlines the goals and proposed working methods of the African Woman Alliance.